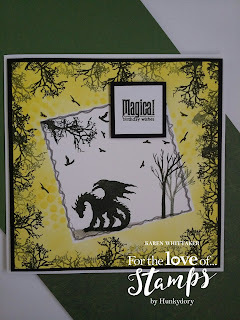 Sharing a card I made using the fairytale stamps from For The Love of Stamps By Hunkydory. 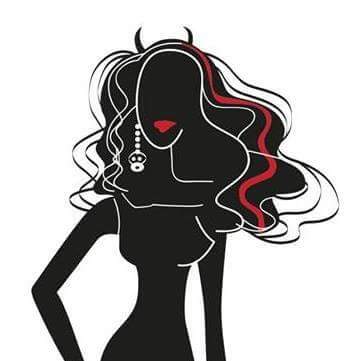 Hope you like and would love it if you would follow my blog. 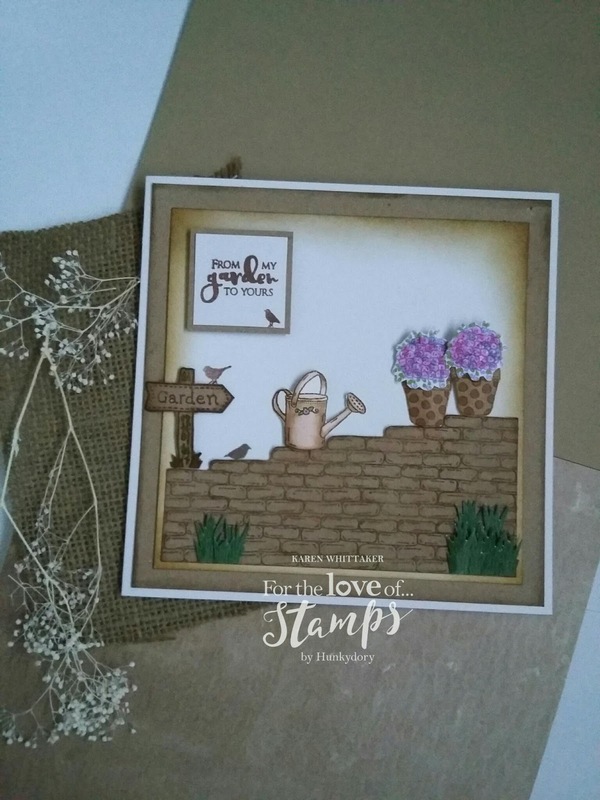 Here's a card I had fun making with stamps from For The Love of Stamps. Lots of distress inks and inky fingers! Wanted to keep a monochromatic feel to it with a hint of colour. Stamped the jar off the page then added the Dandelion stamps and a hint of distress inks. I used masking techniques, heat embossing, distress inks, dew drops and stencils to create this card. If you like it please follow my blog for future inspiration. And the Little Lilies and Leaves set. Love the subtleness of watercolouring. Hope you like it to. 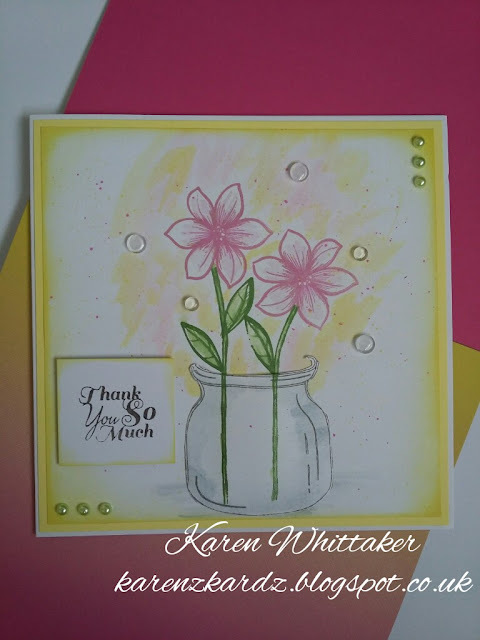 Sharing a watercolour card I've made using the gorgeous lamination flower stamp by www.stampsbyme.co.uk and the jar of thanks stamp by www.honeydoocrafts.co.uk. Love the subtle effect of watercolouring and I hope you like it to. Love the simple elegance of the white against the kraft bag. Hope you like it. 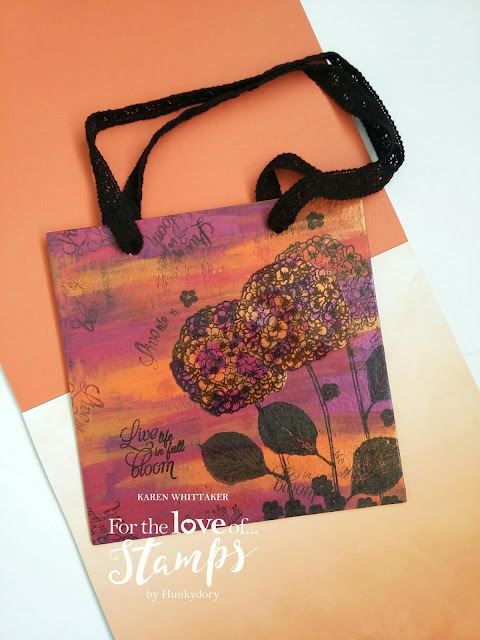 Please follow my blog to keep up with my latest makes and new product releases from my DT samples. 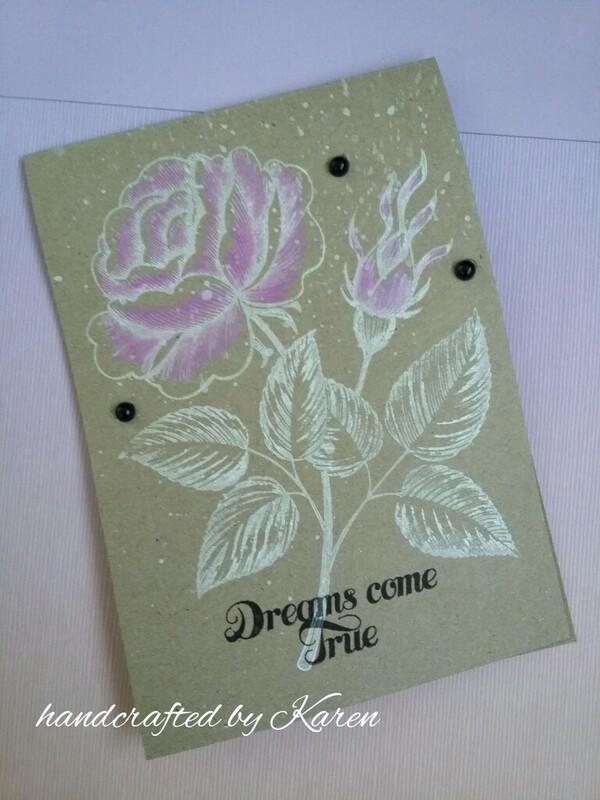 To create this simple but beautiful effect I stamped the image in a white pigment ink then coloured the shaded areas of the rose with a pale pink Dyna paint. 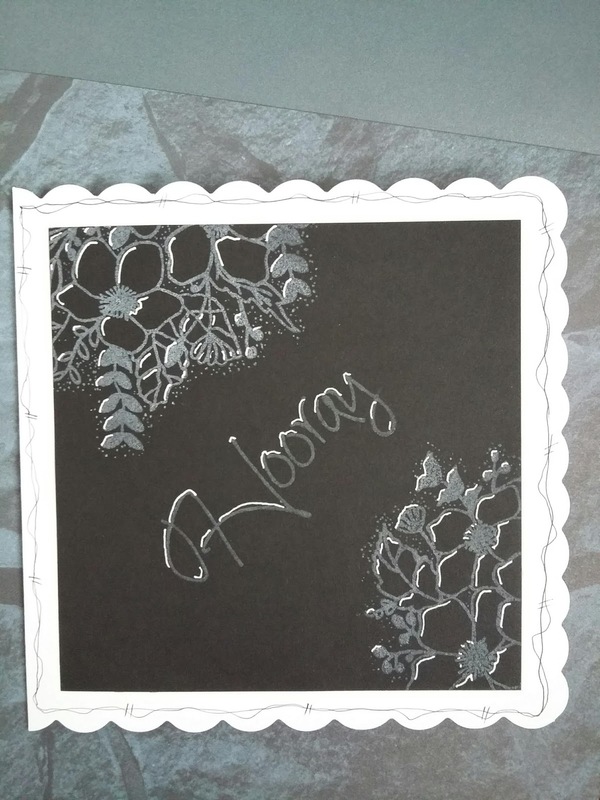 I splattered white ink drops over the whole card then added the sentiment in a black ink, to give a contrasting effect. Black pearls were added to finish. Hope you like it. 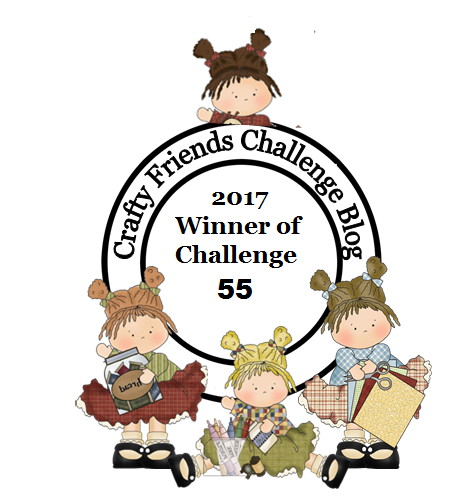 Would love you to follow my blog for more makes. 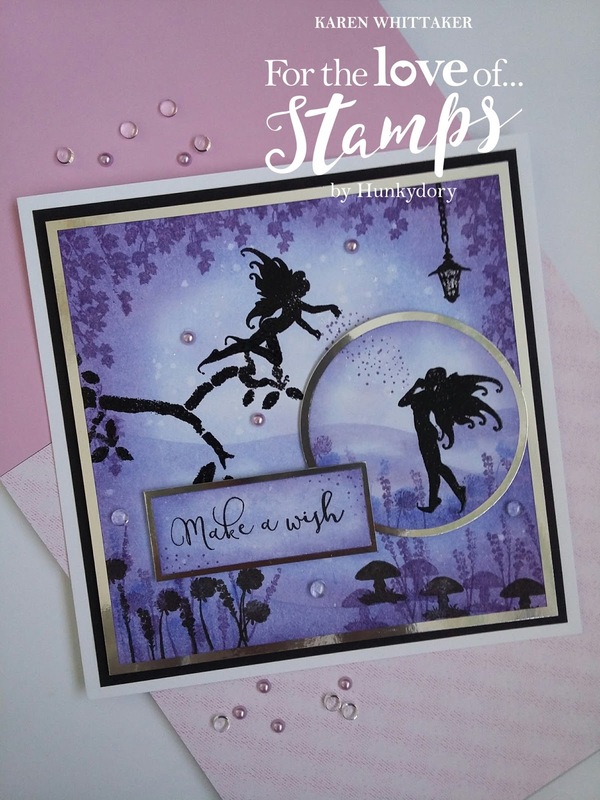 Love playing with this beautiful and versatile stamp by Honey Doo. 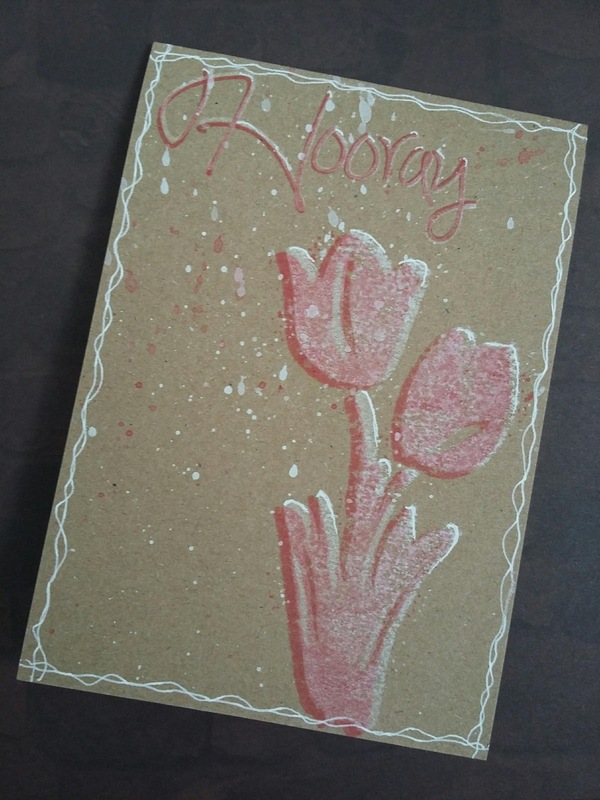 I stamped it with Versmark and white embossing powder then used a combination of distress inks to create the background. Droplets of water create a lovely effect againt the vibrant colours. 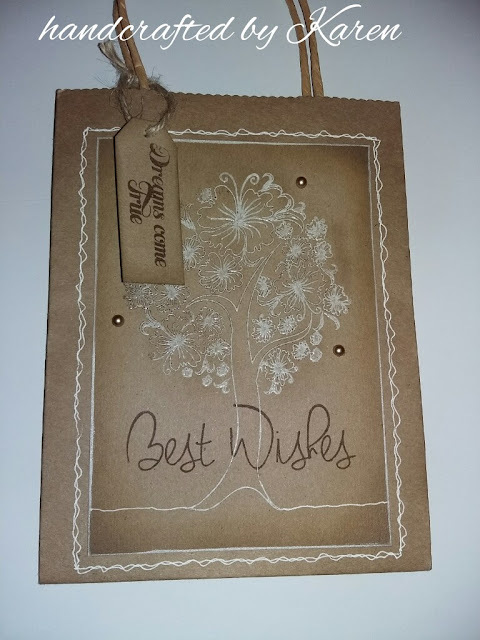 The sentiment was stamped onto the vellum which was attached around the card then matted onto card blank. 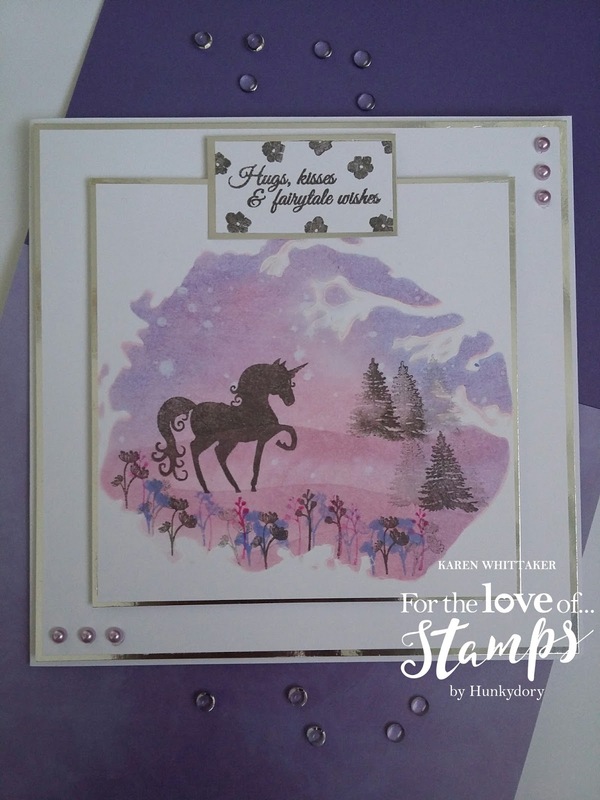 Been having a play with the new stamps from For The Love of Stamps. Love the summery feel the colours and flowers create. Hope you like it and please follow my blog for more inspiration. 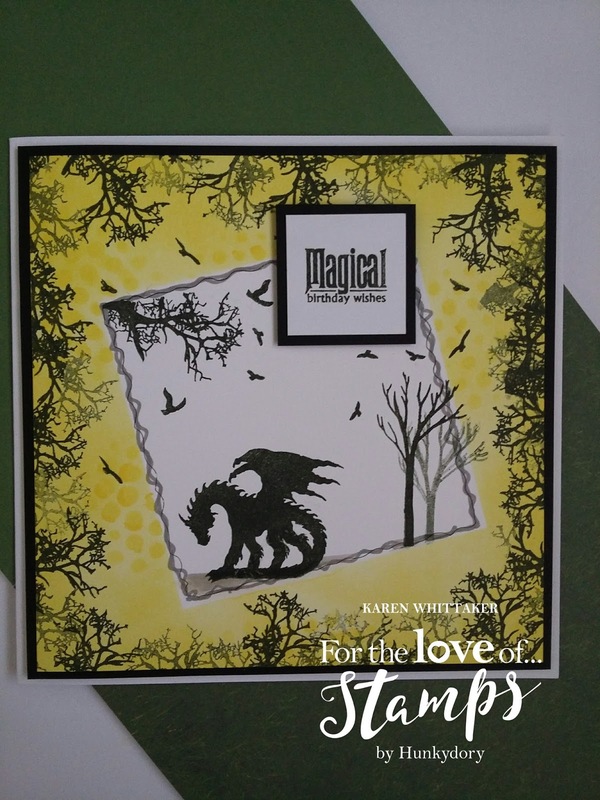 Hope you like this tag created using the new For the Love of Stamps fairytale stamp sets. 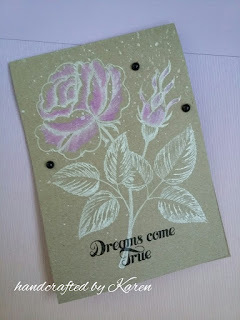 I painted the mdf with black gesso, dried with heat gun and then used a mixture of Distress inks, stencils and acylic paints to create the background. I splattered ink and paint drops to complete. 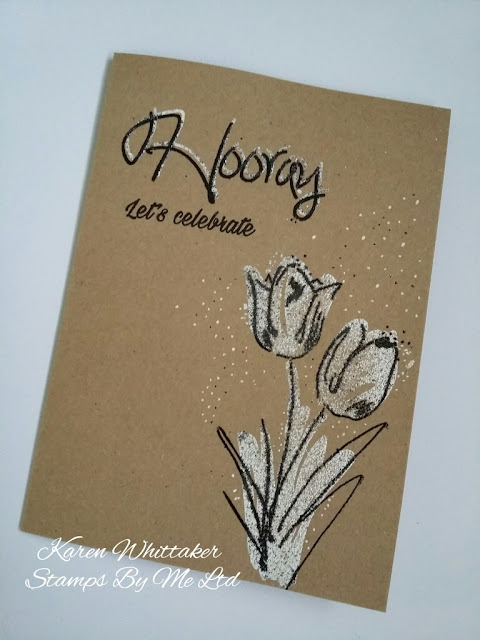 I stamped the main images in black embossing powder, heat set and then added a fine line white pen to highlight areas. Gilding wax was added around the edge of the tag and a ribbon tied through the hole to finish. Hope you like it and feel free to follow my blog. I used paper to mask a diagonal section which I then inked using Distress Inks. I stamped the small flowers within the masked area and then added the Unicorn stamp. The sentiment was stamped on the diagonal and a few gems added, to finish this sample. I love the clean and simple but effective look of this card. 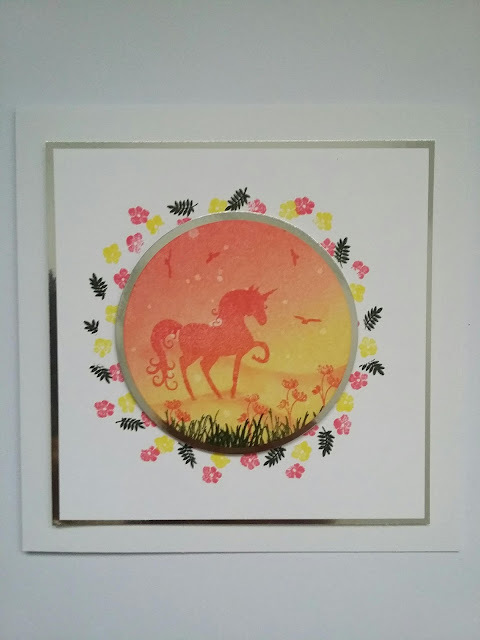 I used the acrylic block technique to create this more contemporary card. It suits the silhouette design of these stamp sets and creates a vibrant card. I added wiggly lines to draw the eye in before matting onto card blank. 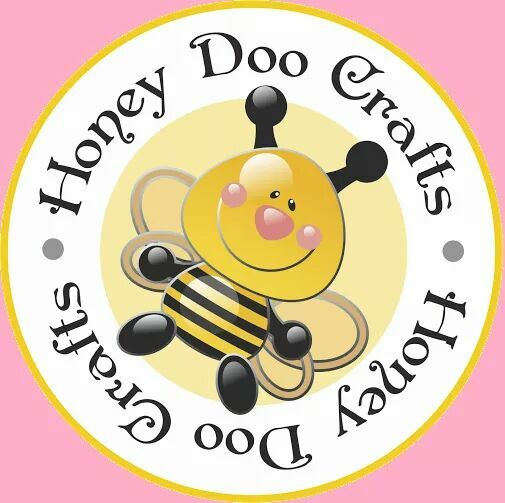 Thankyou for looking and please follow my blog to keep posted on new products and my future makes. 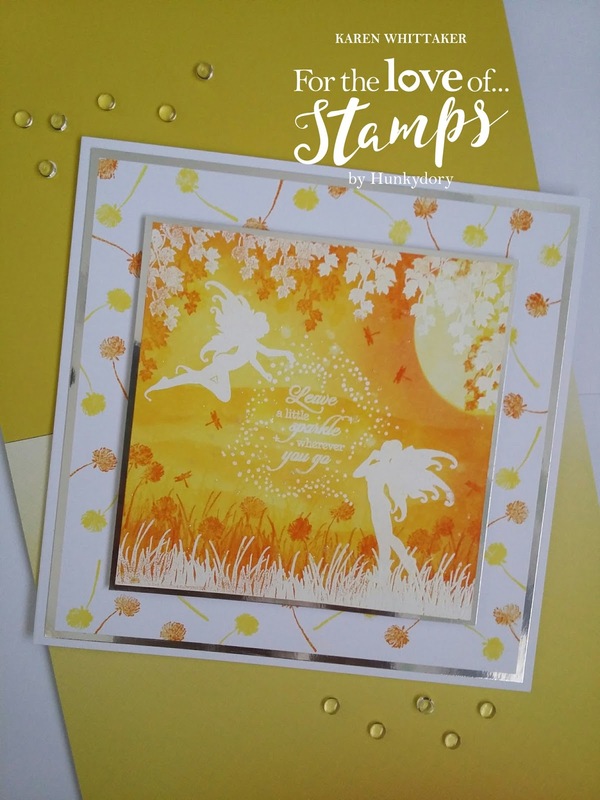 Posting another of my samples for the new stamp sets launched this week alongside the papercrafting collection. 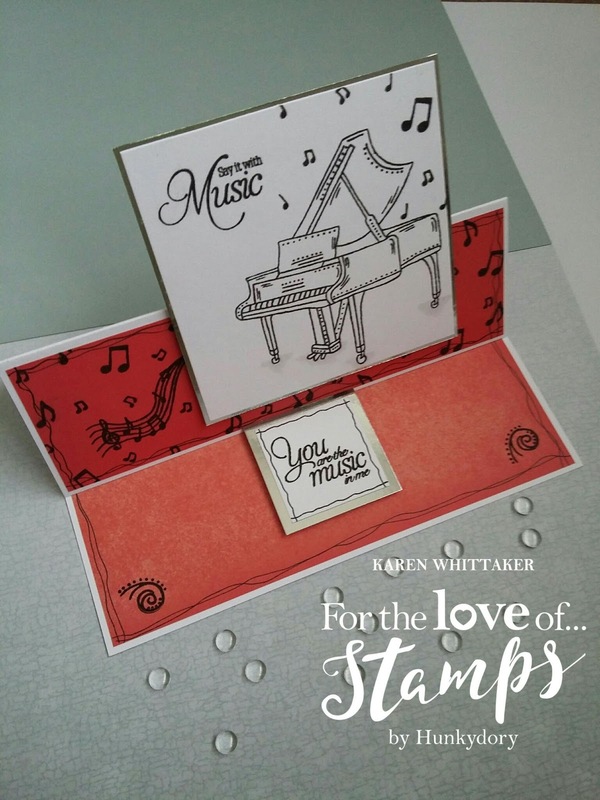 These come to you from Hunkydory and For the Love of Stamps. For this sample I masked off a centre square before inking the background using Distress Inks. 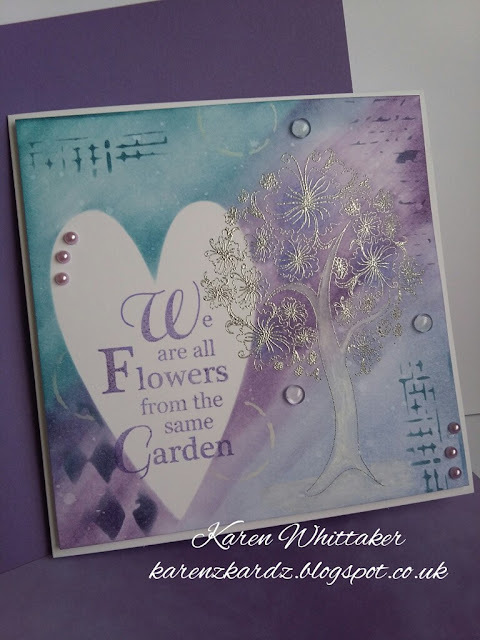 I stamped first and second generation branches in several colours. I removed mask and stamped the rest of my images within the masked area, before adding a sentiment. 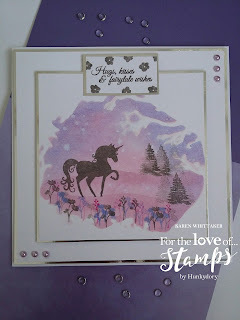 Sharing another of my DT makes using the gorgeous fairytale stamps by For The Love of Stamps Hunkydory. 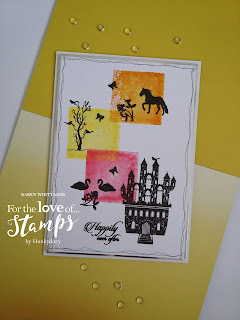 I used a stencil mask to ink the background using distress inks then stamped the images using both Versafine and Distress inks. This was then matted onto mirri before adhering to card blank. 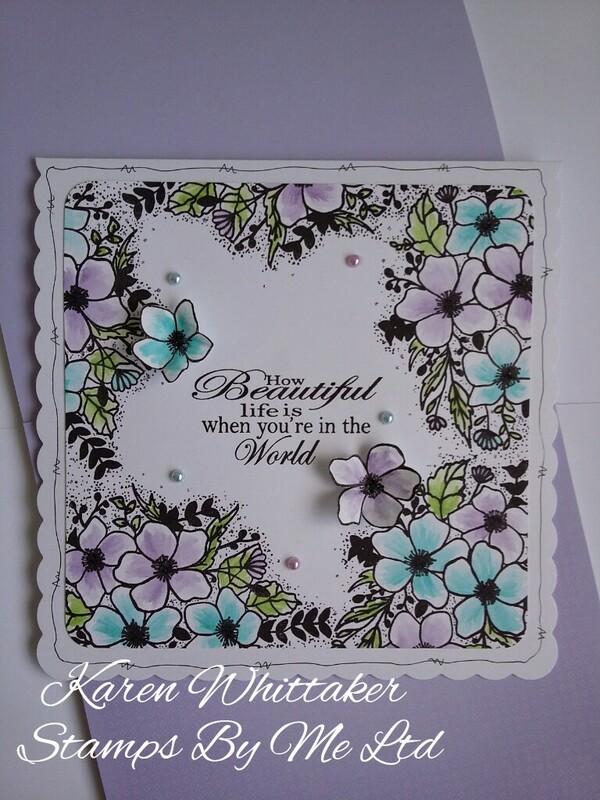 Gems and a sentiment were added to complete this sample . Hope you like it. Please follow my blog for more inspiration. 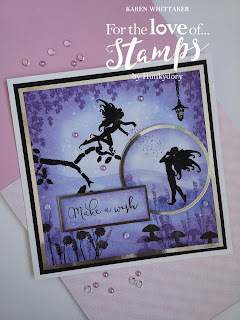 Here's another fairytale DT sample for the new collection of stamps by For The Love of Stamps By Hunkydory . They accompany a full papercrafting collection to. 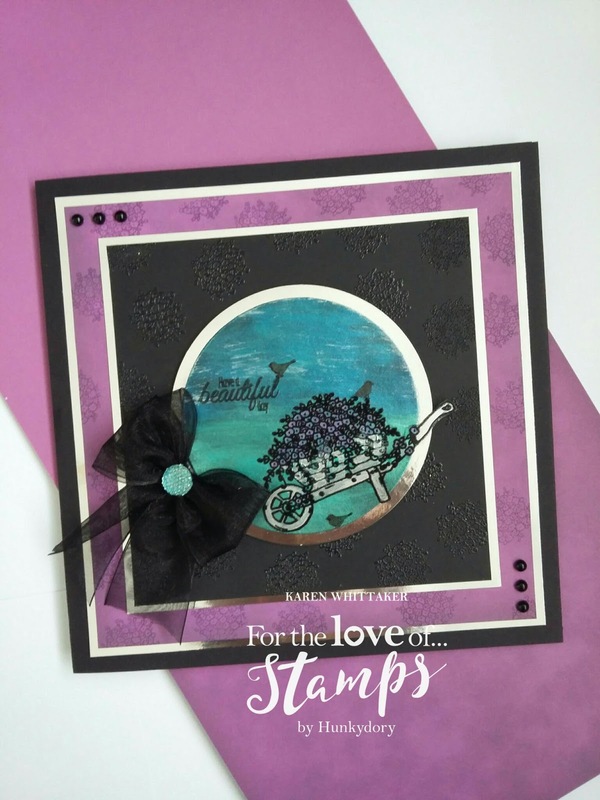 I first heat embossed all the main images on both the stamping card and on a die cut circle. I then created backgrounds using distress inks, with spritzed drops of water to add an extra effect. 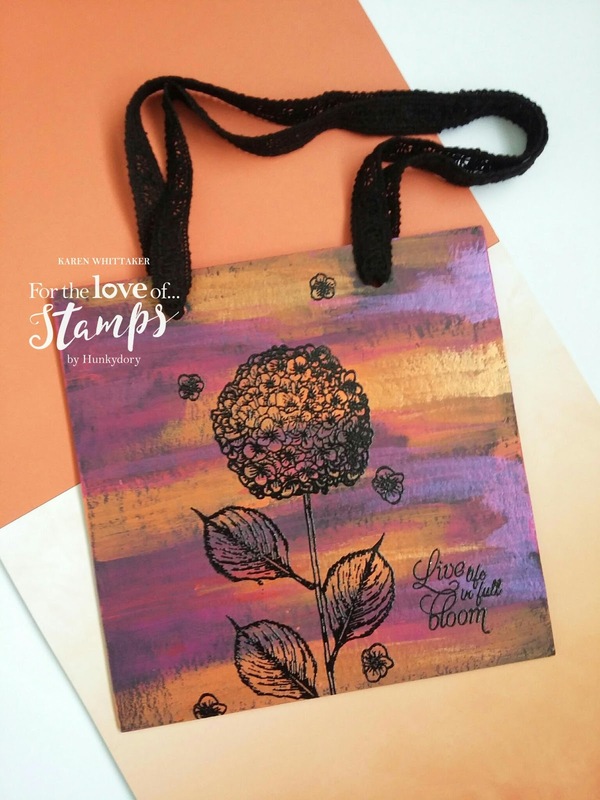 I stamped the leaves, flowers, lantern and toadstools in both versafine and distress inks. 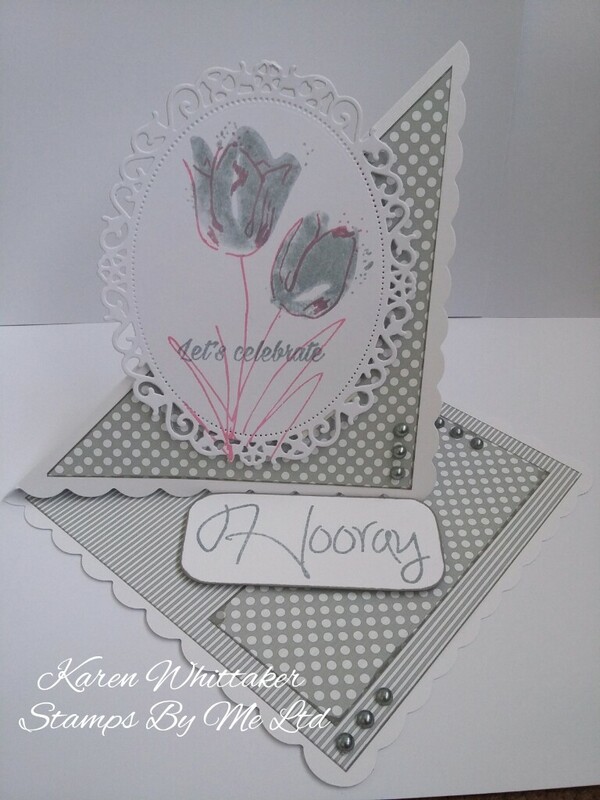 These were then mat and layered onto black card and mirri, and a sentiment added to finish. 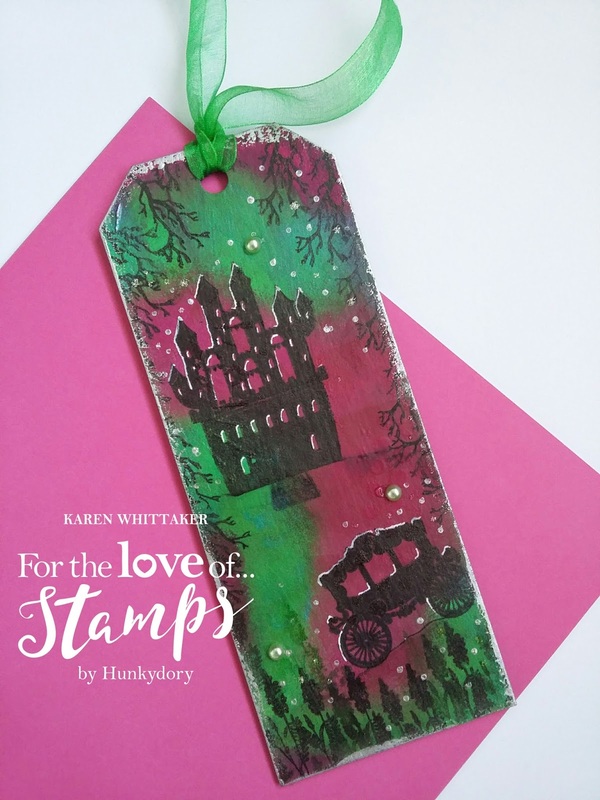 Here's my first DT sample for the new fairytale stamps by Hunkydory For The Love of Stamps. These accompany a full papercrafting collection. 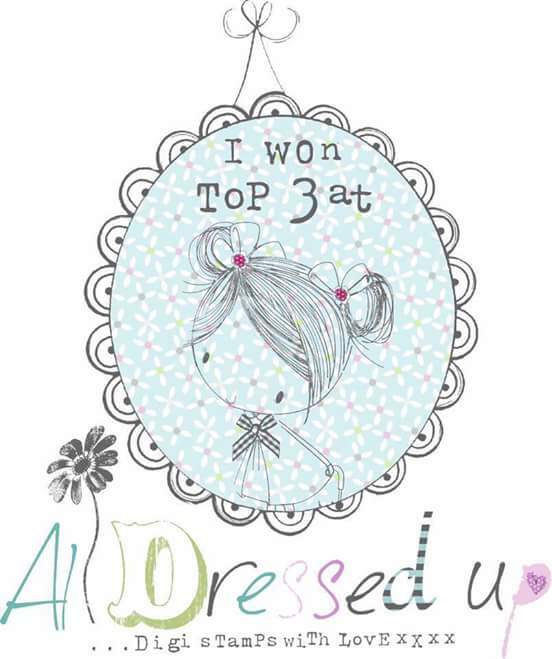 I embossed the main image and sentiment first then used distress inks to create the background. 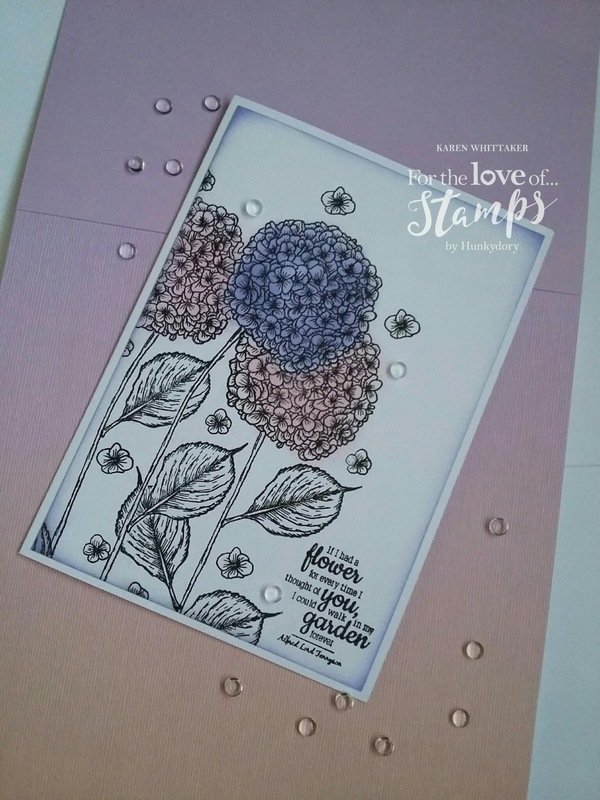 I used the smaller stamps to add a random pattern on a separate piece of card. Then mat and layered on card blank to finish. Hope you like it. Please feel free to follow my blog for more samples and inspiration to come. Evening everyone. 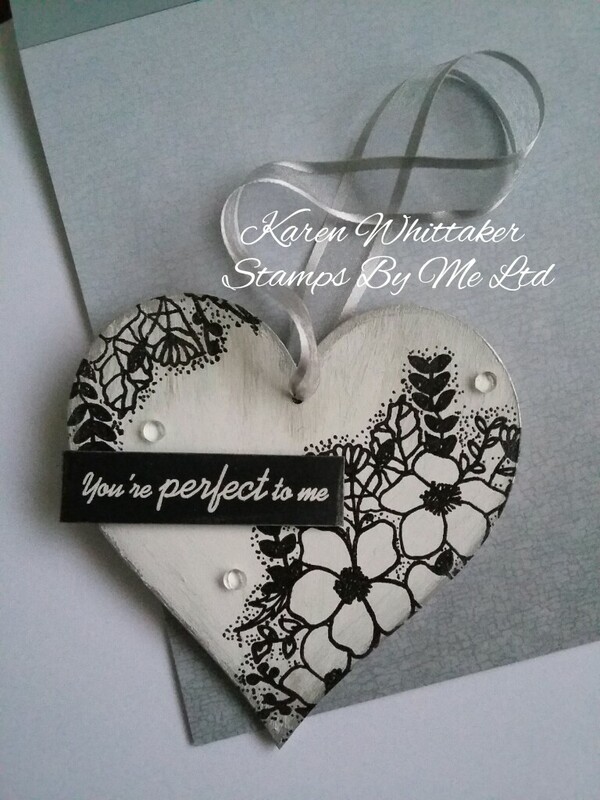 Hope you all saw the Stamps By Me Ltd show today. Some fab goodies and inspirational demos by Toni. Just wanted to share the ladt of my DT samples I made for the show. I love using the lamination stamps in particular and the new shadow white ink pad is soo versatile. Used the gorgeous stamp set by Stamps By Me Ltd to create this pretty card. 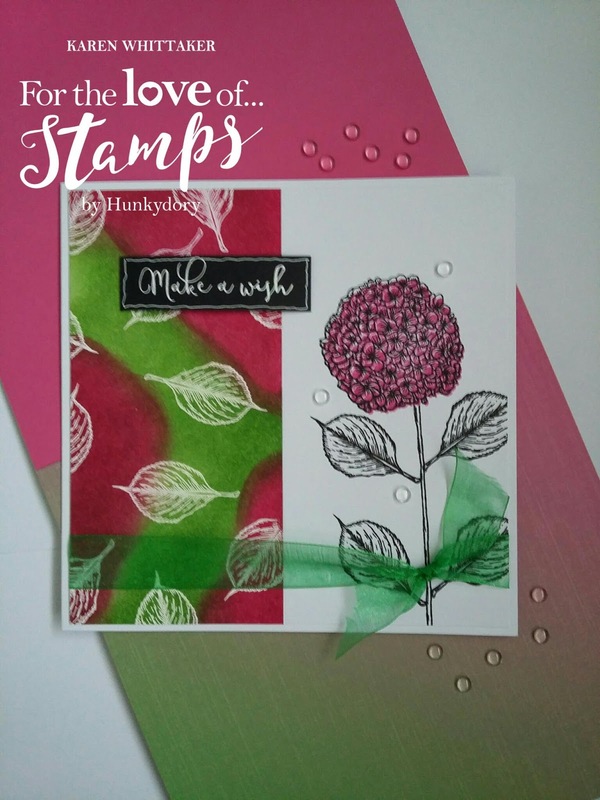 I stamped image around card in black ink, and loosely coloured in to create a soft effect. I then stamped the image onto a bit of card and cut out some of the big flowers. These were coloured and cut out then attached to card to create a 3d effect. Heat embossing and lots of distress inks created this beautiful effect. 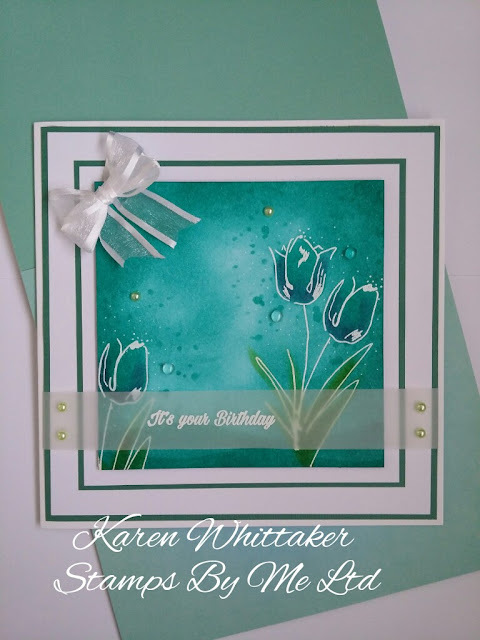 Then matted and layered to create an elegant but gorgeous card. Love the lamination stamps.. so much versatility. 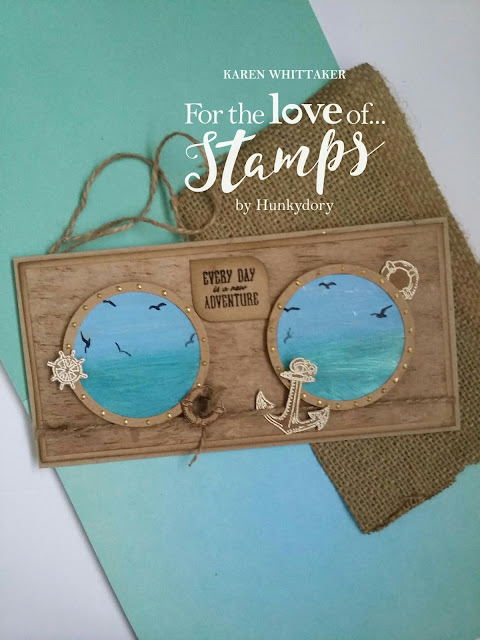 Here's another DT sample using one of their gorgeous lamination stamp sets. I used the acrylic block technique as a backdrop to the gorgeous stamp. 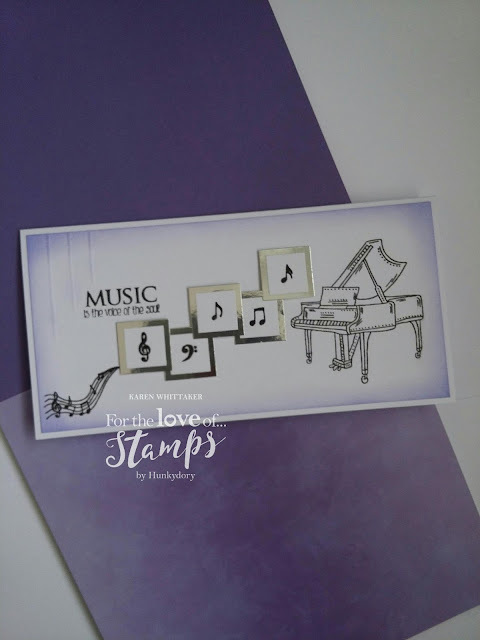 Here's another gorgeous stamp set from Stamps By Me Ltd. Absolutely love the sketchy feel to these layered lamination stamps. I matted papers onto my easel card then stamped the solid layer of the flower in distress inks, spritzed first to create a water effect. I then stamped the outline . Wanted to share a few cards I made whist reviewing the new Generation Inx white shadow ink pad (with reinker). I loved how you could stamp it over a coloured stamped image, to create the shadow effect. When stamped on its own on dark card it produced a subtle sketchy image. 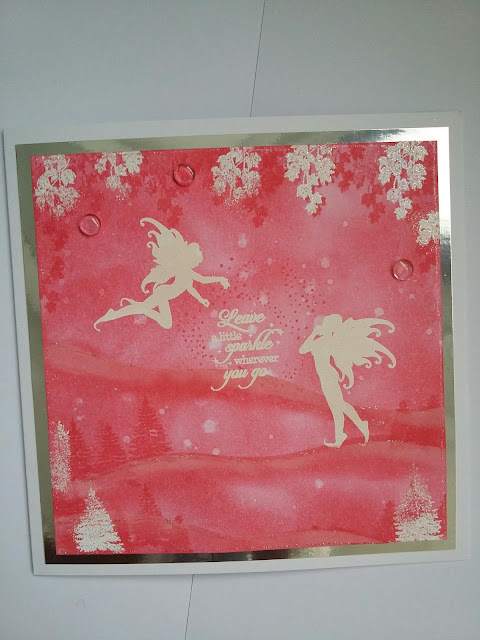 I also tried heat embossing a stamped image, with clear embossing powder. It produced a very subtle mottled image, which I inked over for a resist technique. For this card I used kraft card and stamping card. 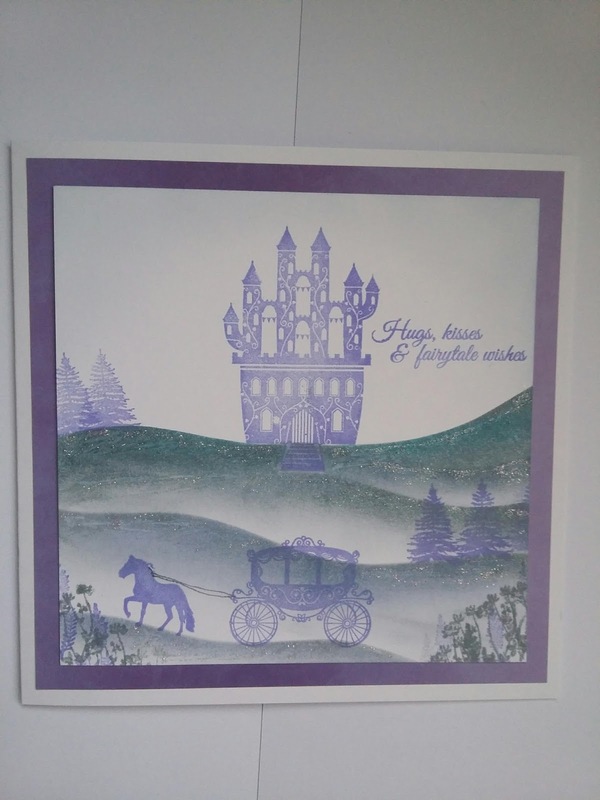 The main image was heat embossed in white and then coloured on with dyna paints. A beautiful shimmer. 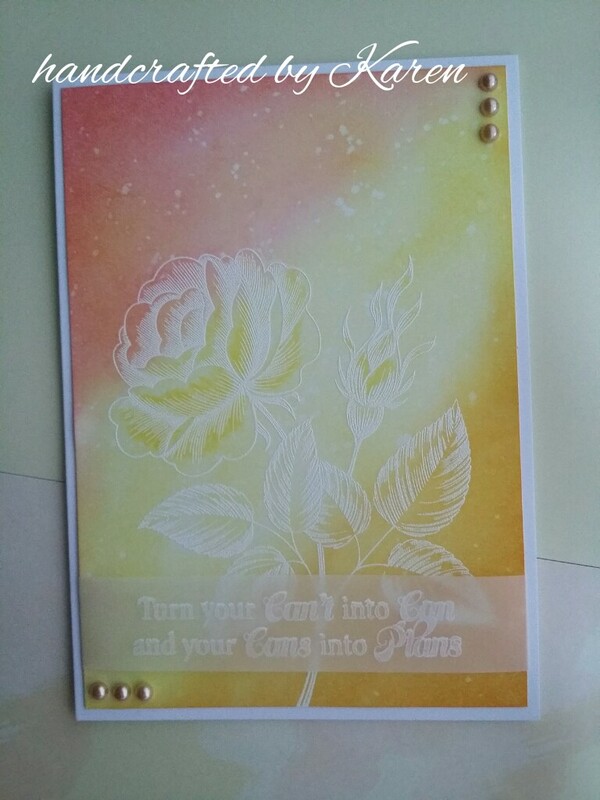 Clear gems were added and then mat and layered onto the card blank. For this I used white card blank and stamping card and kraft stamping card. On the small white card I inked round the edges. 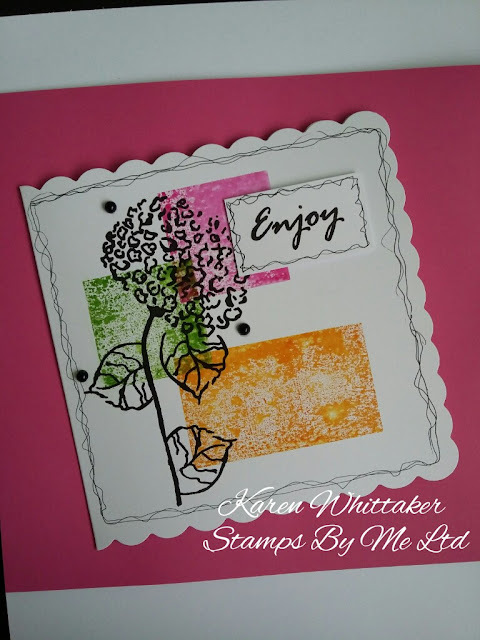 Multi stamped bricks to create a wall, then stamped,coloured in and cut out various small stamps. These were glued on using 3d gel to add dimension. The topper was then matted and layered to finish. For this vibrant pink card I used a die cut white circle and created a background with shimmer dyna paints.I stamped and embossed the wheelbarrow onto acetate and coloured it on the reverse with the paints. I added the sentiment and the birds, then matted and layered before adhering to card blank. A bow finished it off. 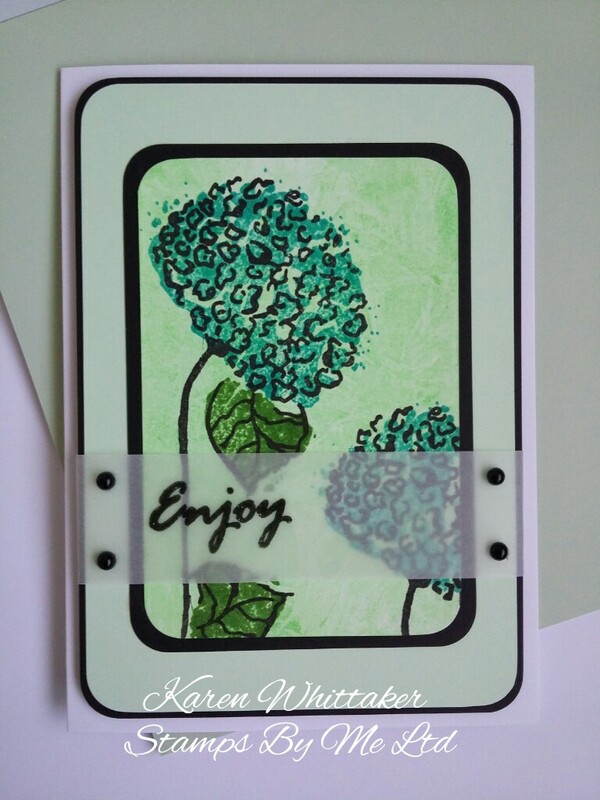 For my final sample using this Barrow In Bloom set, I took two card blanks. Cut both on the front, on the diagonal, then glued together to create this envelope style card. 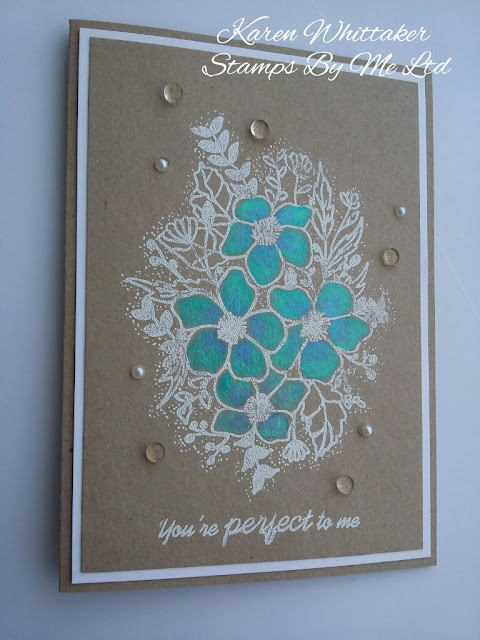 I used papers from the stamping pads, stamped with small stamps then glued to card blank. I stamped, coloured and cut out all the embellishments, attaching with 3d glue gel. To finish I took another piece of card cut to fit inside the envelope.. decorated on bith sides with the papers, added more stamped embellishments and a sentiment to finish. 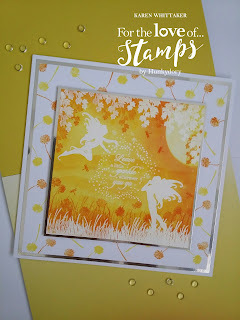 Heres another DT sample for the new stamp sets. Distress inks were used to create this vibrant background. The main image was stamped with Versafine and coloured with distress ink. This was then matted onto card blank. 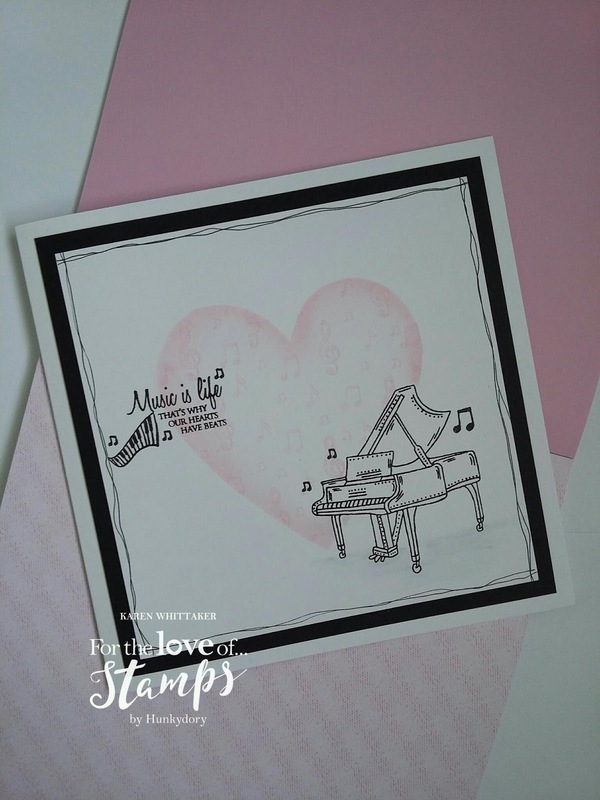 Here are today's DT samples for the new stamps released by For The Love of Stamps. 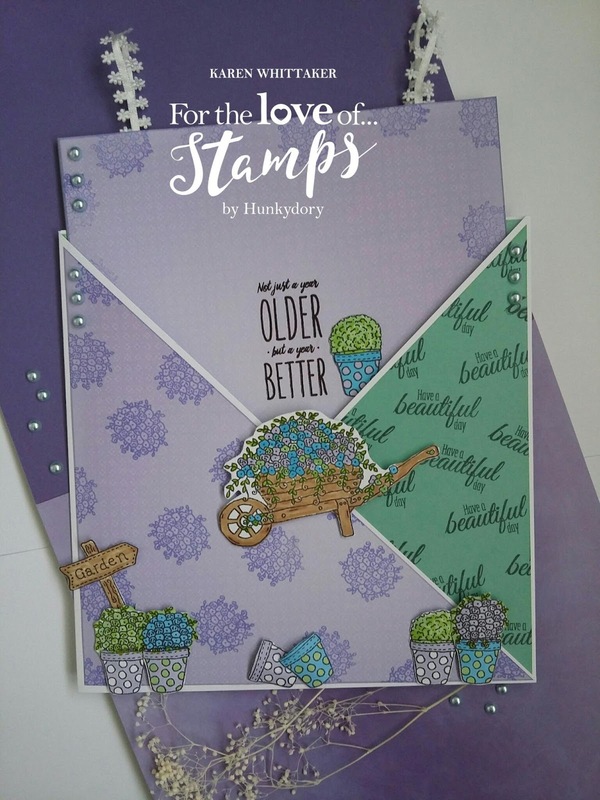 Absolutely love this stamp set , so many variations with the solid and outline stamps. 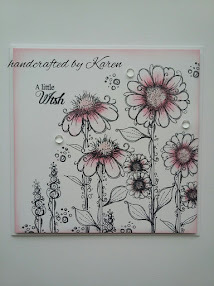 For this plaque I covered it in black gesso first then used acrylic /dyna paints to create the backgrounds. I stamped one image directly onto the plaque with versafine and clear embossing powder. I then stamped more onto acetate, coloured on the reverse side, then attached to the mdf. I randomly stamped the sentiment all over making sure I turned it, went off the edge and used second generation stamping. 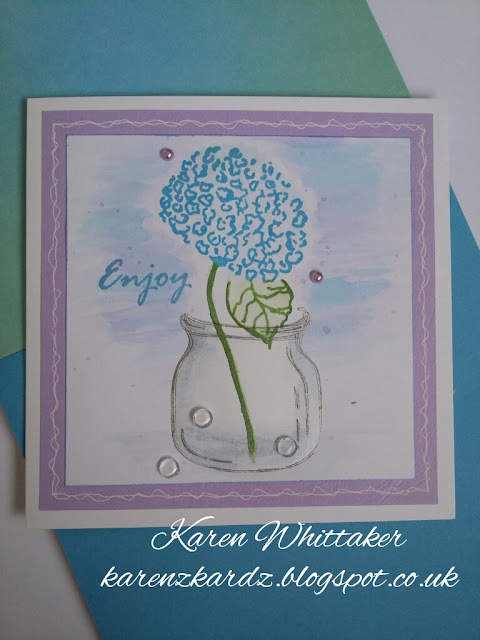 Using masking technique I stamped the flowers, stem and leaves then used distress ink to create a soft water coloured effect. I lightly inked round edge of card before attaching to card blank. clear gems added to complete. Here's some more of my DT makes for the new musical stamp set being launched today by Hunkydory 's For The Love of Stamps. The piano and notes were stamped using Versafine onto a square card and then matted onto mirri. 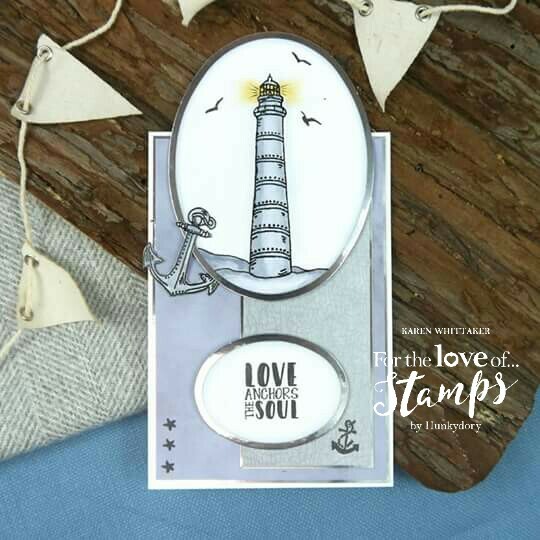 Papers from the stamping background pads were cut and glued to the easel and base then to finish I stamped some of the smaller images, the sentiment and created the easel stopper. I hope you like these samples. For this sample I inked the stamps with distress inks then used a water brush to blend the colours to give a subtle feel. The large anchor was stamped, coloured and cut out then I used pinflair to give it a 3d effect. Papers were from the paper stamping background pads. Probably my favourite sample. 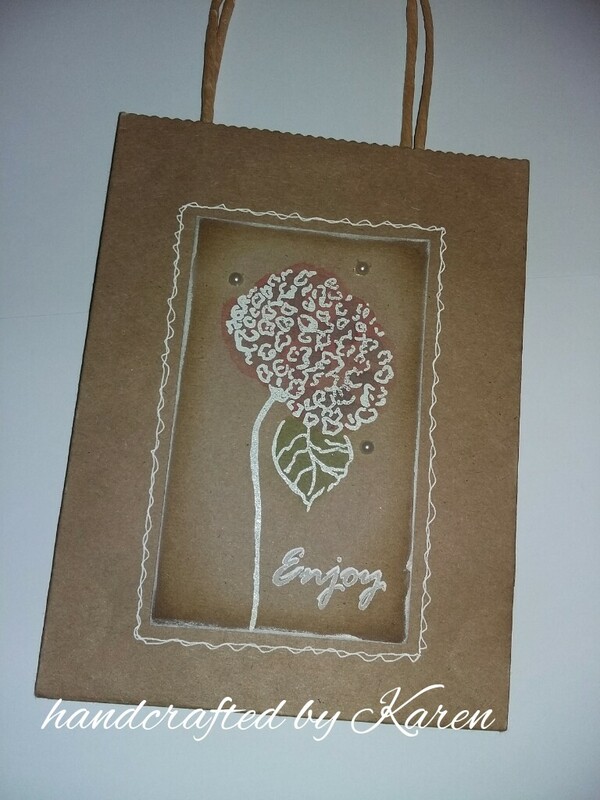 Made using kraft card. 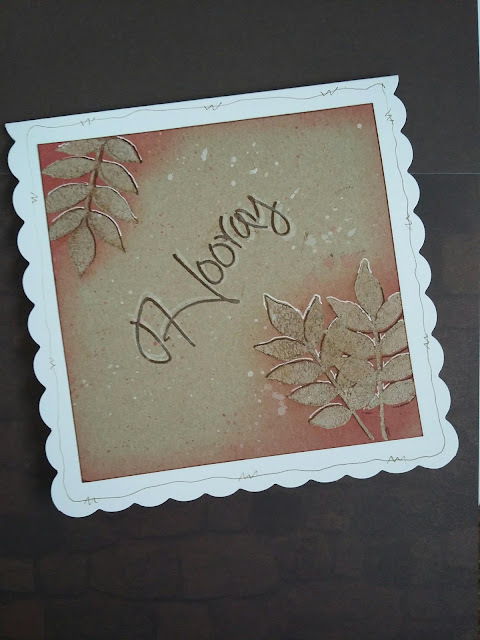 I used brown distress ink to create an aged look on a strip of kraft card. I attached twine around it and glued to card blank. Circles were die cut and I used pearl drops around the outside of the two frame circles. Distress ink and Dyna paints were blended to create the background effect. 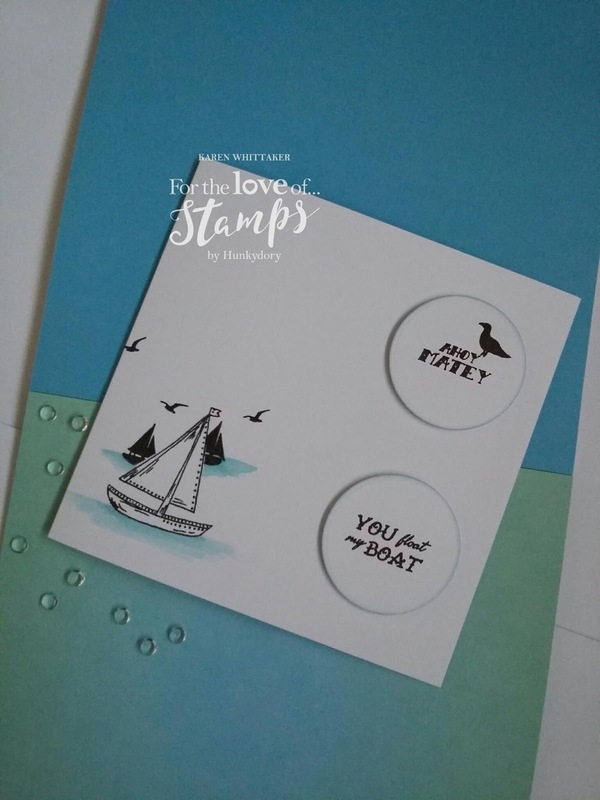 I stamped a few seagulls and glued the circle die cuts to the card. 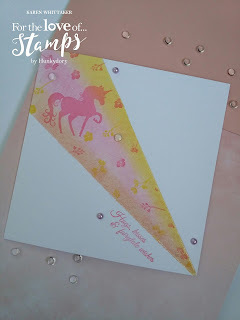 To finish I stamped various embellishment stamps and cut them out and glued them to the card.